Ear grommets are synthetic tubes which are inserted into the eardrum to keep the middle ear aerated and allow for the drainage of excess fluid. This procedure is commonly performed on young children who are more likely to experience fluid in the ear and recurrent ear infections. While the surgical insertion of an ear grommet takes only around 15 minutes to perform, general anesthesia is usually required. This helps ensure the patient is perfectly still when the surgeon makes a tiny incision in the eardrum (a procedure known as a myringotomy). You will generally be instructed to stop eating and drinking starting at midnight on the day of your surgery. This will help avoid the regurgitation of your stomach contents while under sedation. During your pre-operative exam, a nurse will take your blood pressure and oxygen levels and ask about any medications you may be taking. You will also likely meet with the anesthesiologist to discuss any previous experiences you may have had with anesthesia. An IV tube would then be placed by either the nurse or anesthesiologist. Once you are under sedation, the myringotomy would be performed, and any accumulated fluid would be sucked out with a vacuum. The ear grommet would be placed into the tiny hole in your eardrum. Antibiotic drops would then be used to help prevent infection. 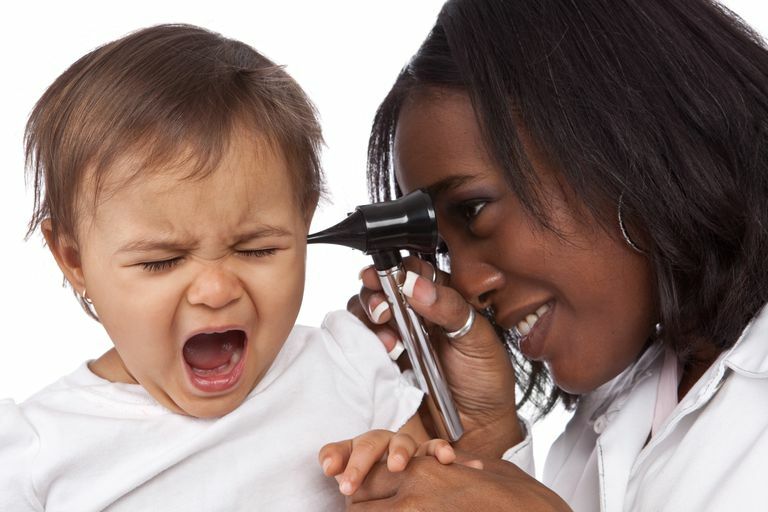 Ear grommets do not require stitches but are rather held in place by the eardrum itself. In children, they will oftentimes fall out on their own as the eustachian tube begins to grow and change. For adults, the ear grommet may be kept in place for a longer period of time, especially for those with recurrent ear infections. In this case, the grommet would have a special flange to hold it securely. A second surgery would then be needed to remove it at a later date. Most people do not experience significant pain following a myringotomy. If needed, Tylenol (acetaminophen) may be used to help alleviate any discomfort. On the other hand, it is not uncommon to experience dizziness, nausea, or a headache following general anesthesia. It is for this reason that driving or the operation of heavy machinery should be avoided for 24 to 48 hours following the surgery. Antibiotic eardrops will likely be prescribed for the first few days. You may also be asked to avoid submerging your head in water until fully healed or, at the very least, be asked to wear earplugs when swimming, showering, or bathing. Lieberthal, A.; Carroll, A.; Chonmaitree, T. et al. "The diagnosis and management of acute otitis media". Pediatrics. 2013; 131(3): e964-99. DOI: 10.1542/peds.2012-3488.